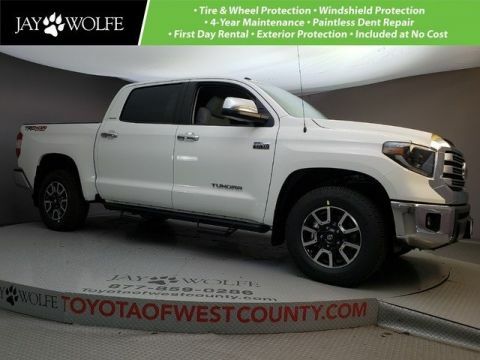 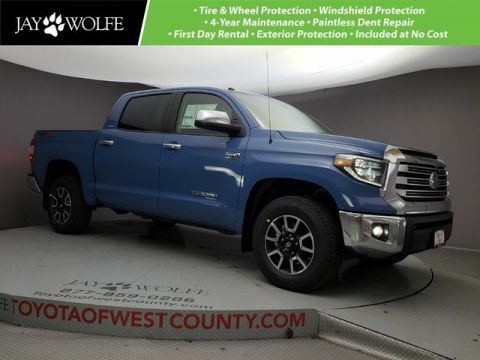 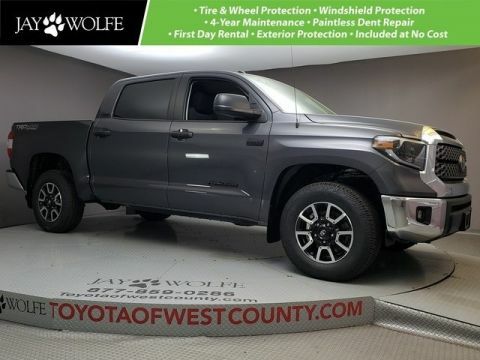 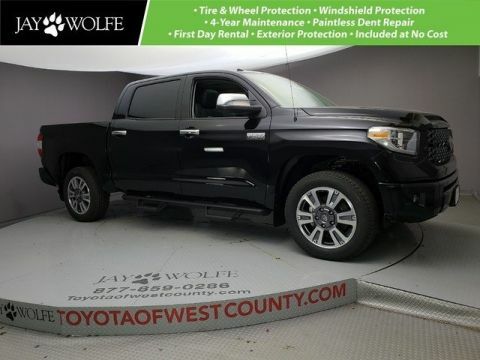 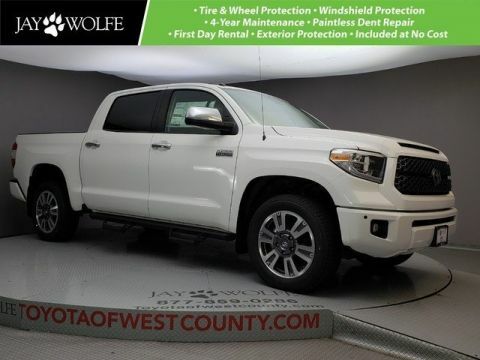 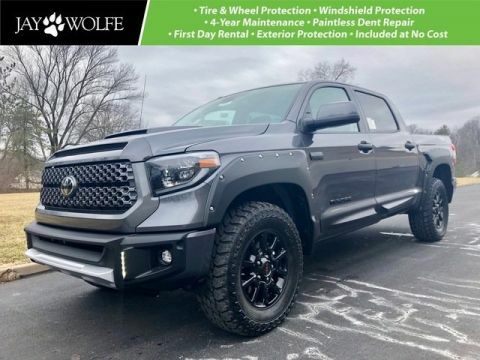 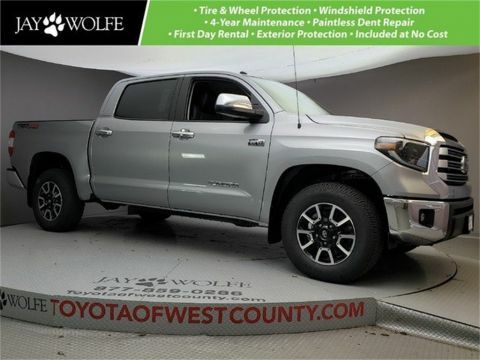 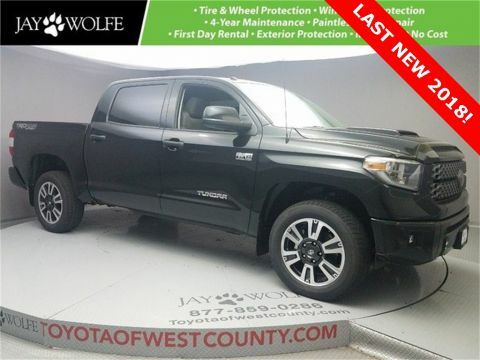 TRD SPORT WITH BLIND SPOT MONITOR, FRONT & REAR PARKING SONAR, 38 GALLON FUEL TANK, TRD SPORT TUNED BILSTEIN SHOCKS..... Entune | Keyless Entry | Backup Camera | Fog Lights | ABS | **Get the JAY WOLFE ADVANTAGE PROGRAM Complimentary and Exclusively at Jay Wolfe Toyota of West County! 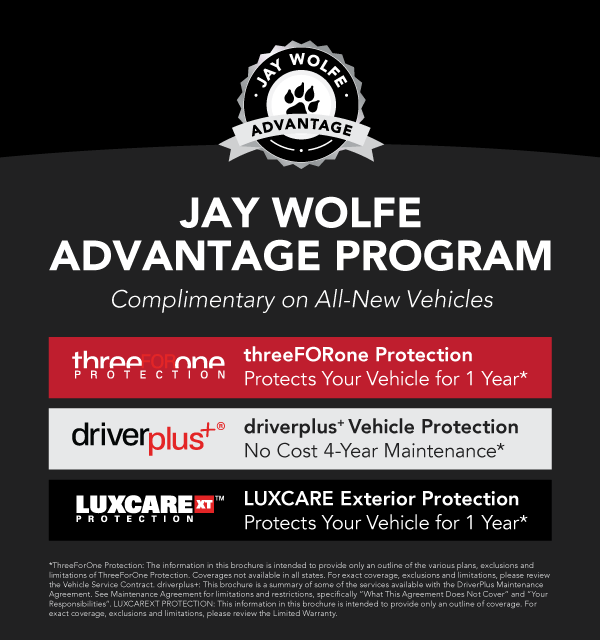 ThreeFOROne Protection (1 Year Tire and Wheel, Windshield, Paintless Dent Repair), DriverPlus+ NO COST 4-YEAR MAINTENANCE at Toyota of West County on All New Vehicles, and LUXCARE XT Protection (1 Year Exterior Painted Surfaces, Headlight and Taillight lenses and Alloy Wheels)**Stand out from the crowd with the capability, toughness, and style of our 2018 Toyota Tundra SR5 CrewMax Four Wheel Drive brought to you in Midnight Black Metallic! 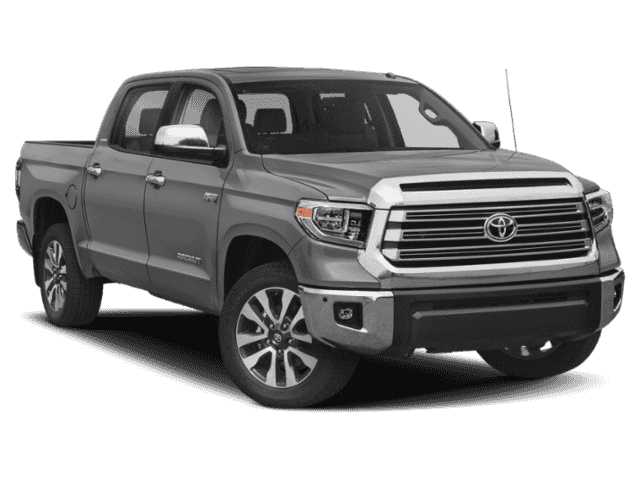 The 5.7 Liter V8 provides all the muscle you need with a potent 401lb-ft of torque and 381hp that's managed with our smooth-shifting 6 Speed Automatic. 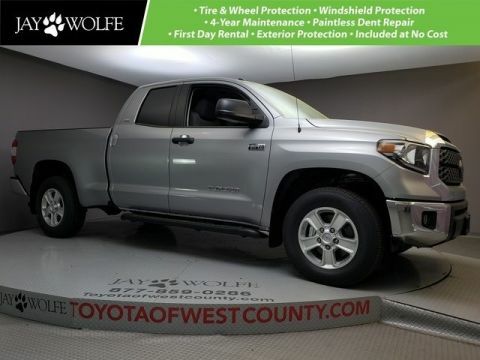 Enjoy near 20mpg on the open road and brisk acceleration that may surprise you. 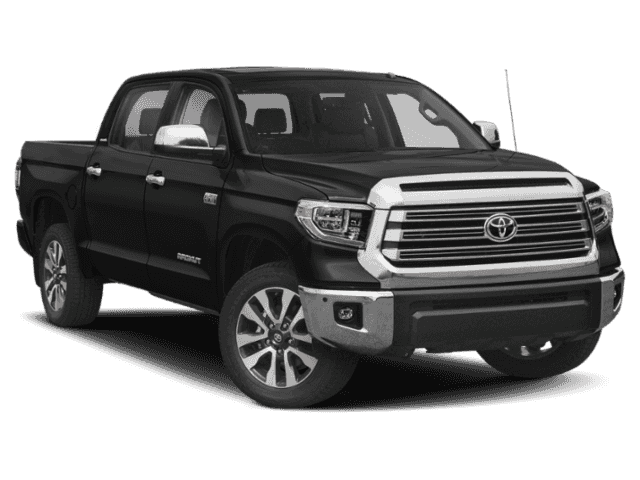 It's no wonder our Tundra earned KBB's award for Best Resale Value for Full-Size Pickup Trucks!